Dr. Fernando J. Meza is a graduate of Vanderbilt University, where he received his B.A. in Psychology in 1997. In 2002, he received his D.M.D. from the University of Connecticut School of Dental Medicine where he was recognized with The Neurosciences Award. After graduating from dental School, Dr. Meza went on to receive his specialty training from Temple University School of Dentistry, where he obtained his Certificate in Endodontics. During his residency program, Dr. Meza conducted research using the Biolase Er,Cr,YSGG laser to investigate its effectiveness in disinfecting root canals. The promising results of his research led to a publication in the Journal of the American Dental Association (JADA July 2007, Volume 138 – Research). 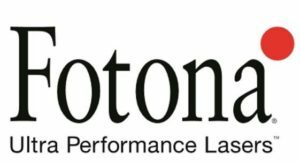 After his graduate education, he returned to Northern Virginia where he has practiced Endodontics since 2004. Dr. Meza remains active in academics as Clinical Assistant Professor at the University of Maryland, Department of Endodontics where he has taught dental students and endodontic residents since 2005. Dr. Meza also remains active in the Northern Virginia Dental Society. He has held several officer positions in the past including former Past President and currently resides on its Board of Directors. One of Dr. Meza’s passions is helping the local community. He has participated and organized the Endodontic sections in previous Mission of Mercy Projects every year since 2008 in Northern Virginia and has also attended the project in Wise, VA. His outreach efforts were recognized as a past recipient of the Virginia Dental Association New Dentist Award for leadership through service in dentistry. He enjoys spending time with his family, and also has interests in cooking and music. This two-day course will start at the beginning of root canal treatment with lectures discussing local anesthesia in endodontics including management of difficult to numb teeth. Models will be used to teach endodontic access and instrumentation. 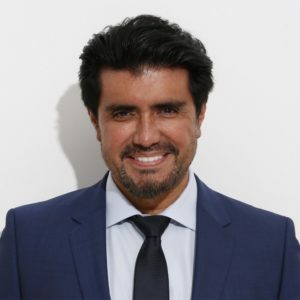 Dr. Ruiz is the Director of the Los Angeles Institute of Clinical Dentistry and Course Director of numerous CE Courses at University of Southern California (USC). He is an Honorary Clinical Professor at Warwick University in England and a member of the editorial board for Dentistry Today. He is also an Associate Instructor at Dr. Gordon Christensen PCC in Utah and independent evaluator of dental products for CR (CRA). Dr. Ruiz has been named as one of the “Leaders in CE 2206-2019” by Dentistry Today. Dr. Ruiz has published several research papers as well as many clinical articles on adhesive dentistry, occlusion and esthetic dentistry. He regularly lectures at all major dental meetings, nationally and internationally. In this dynamic lecture, which includes powerful visuals & videos, Dr. Ruiz, a researcher and real practicing clinician, demonstrates breakthrough techniques which will make adhesive restorative dentistry easier, faster and more predictable than ever before. Targeted to the practicing clinician who is interested in providing his or her patients with the healthiest, high-quality, evidence-based adhesive dentistry techniques specially designed to keep restorative margins above the gum: Supra-gingival dentistry. The techniques taught in this lecture can be applied to anterior, posterior, direct and indirect restorative and esthetic dentistry. Thoroughly discuss adhesive systems and describe how to be successful with them. Two courses conveniently scheduled in one morning. Registration fees are separate per course. Who Needs a Sedation Update? The Dental Sedation Update Program is designed for individuals that are currently certified and practicing dental sedation and require the update every 2 years. Dental Assistants are invited to attend the program so that they are aware of the sedation process and how to assist the dentist with the management of the patient. Dental Assistants may register for $99 to attend with a doctor. The program content will cover, but not limited to; Virginia guidelines addressing dental sedation, indication for the use of sedation medication, side effects, reversal agents, etc., Pt and A/W assessment, and several scenarios concerning the complicated case and potential challenges associated with the practice of sedation. Please plan to arrive on time because it will be difficult for late students to catch up once we start. Students are expected to attend and participate in the entire course. You will need to purchase an ACLS Provider Manual (Order Number 15-1005) from one of the following vendors. The ACLS Provider Course is designed to teach you the lifesaving skills required to be both a team member and a team leader in either an in-hospital or an out-of-hospital setting. Because the ACLS Provider Course covers extensive material in a short time, you will need to prepare for the course beforehand. Complete the precourse preparation checklist that comes with your ACLS Provider Manual. Bring the checklist with you to the course. Review and understand the information in your ACLS Provider Manual. Pay particular attention to the 10 cases in Part 5. The resuscitation scenarios require that your BLS skills and knowledge are current. You will be tested on 1-rescuer adult CPR and AED skills at the beginning of the ACLS Provider Course. You must know this in advance, since you will not be taught how to do CPR or how to use an AED. ****Review, understand, and complete the ECG and Pharmacology Pre-course Self-Assessment on the Student Website (www.heart.org/eccstudent) the password is “ACLS15”. You will not be taught how to read or interpret ECGs in the course, nor will you be taught details about ACLS pharmacology. Print your scores for the Precourse Self-Assessment and bring them with you to class. The ACLS Provider Course does not teach algorithms, ECG rhythm recognition, or pharmacology. If you do not learn and understand the ECG and pharmacology information in the Precourse Self-Assessment, it is unlikely that you can successfully complete the ACLS Provider Course. Bring your ACLS Provider Manual to each class. You will need it during each lesson in the course. You may wish to purchase the AHA’s 2010 Handbook of Emergency Cardiovascular Care for Healthcare Providers (optional), which you may bring to the course to use as a reference guide during some of the stations in the course. Please wear loose, comfortable clothing to class. You will be practicing skills that require you to work on your hands and knees, and the course requires bending, standing, and lifting. If you have any physical condition that might prevent you from engaging in these activities, please tell an instructor. The instructor may be able to adjust the equipment if you have back, knee, or hip problems. We look forward to welcoming you on the date of class. If you have any questions about the course, please call Weet Baldwin at (804) 569-7007. 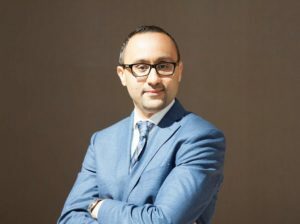 Amr Alian is the managing partner and co-founder of Synergy Consultants and CPAs. He has been advising dentists for 14 years. Amr consults over 700 dental offices in all specialties in the D.C., Maryland, and Virginia area. He assists his clients in financial planning, practice management, transition planning and practice valuation. Dr. Ahmad Hawasli is a Diplomate of American Board of Periodontology and Implantology. He obtained his Master and Certificates degrees in Periodontology from University of Maryland in 2015. 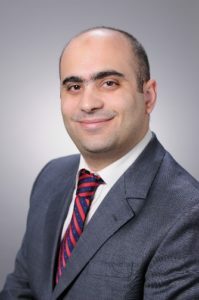 During his residency, Dr. Hawasli was one of the speakers at the Northeast Post-Graduate Implant Symposium (New York/2014), and had one publication “A systematic review of the effects and predictability of root surface biomodification after periodontal surgery”. 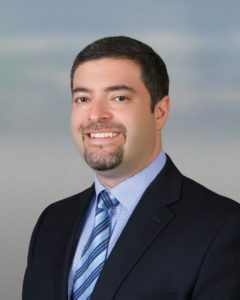 Dr. Hawasli is currently the owner of Woodbridge Periodontal & Implant Center where his practice is limited to Periodontics and dental implants. He constantly strives to be at the top of his field by continuing education and attending educational meetings. His main interests are in dental implants, sinus lift and tissue regeneration. Dr. Hawasli was born in Germany and grew up in Damascus, Syria. He finished his dental school in 2004 and became a specialist in Oral and Maxillofacial Surgery in 2010. He practiced as an oral surgeon in Syria for two years before coming to the United States. Immediate implant placement can be an effective and convenient treatment for our patients by providing shorter treatment time than delayed implant placement and by preserving also the adjacent soft tissue architecture and alveolar bone. In the anterior esthetic zone, great care and planning must precede immediate implant placement. John Nosti, D.M.D., F.A.G.D., F.A.C.E., F.I.C.O.I. Dr. John Nosti graduated from Rutgers School of Dental Medicine and went on to pursue an extensive post graduate education in cosmetic dentistry, occlusion, temporomandibular joint dysfunction and full mouth rehabilitation. He practices with an emphasis on functional cosmetic dentistry in the southern state of New Jersey, where he has consistently been named a top dentist by his peers. Dr. Nosti holds Fellowships in the Academy of General Dentistry, Academy of Comprehensive Esthetics and the International Congress of Oral Implantologists. Outside of his private practices, he has been a regular contributor to both Dentaltown’s online learning platform and Dentaltown magazine. He has been published in the Journal of the American Academy of Cosmetic Dentistry, Dental Economics, Dentistry Today, Inside Dentistry and ADA state component journals. He has been named a top educator by Dentistry Today and has been a featured speaker at the American Dental Association Annual Session, Yankee Dental Meeting, Rocky Mountain Dental Meeting, Townie Meeting, Bioresearch Annual Conference, American Academy of Cosmetic Dentistry annual session, AGD annual session, Florida Prosthodontic Society Annual Session, MidWestern Dental Association Annual Session, AZDA Annual Session, Buffalo Annual Dental Meeting, numerous Seattle Study Club meetings and private study clubs. John shares a passion for nutrition and physical fitness with his wife Jen, and has numerous certifications in personal training and weight management through the American Council on Exercise (ACE). Along with his wife Jen, he is the proud father of his daughter, Isabella, and his son, Anthony (AJ). Do you want to perform more cosmetic dentistry in your office without having to market? Are you unsure which patients are great candidates, what ceramic materials work best or what cement will be your best option? Patients today are as cosmetically motivated as they have ever been. 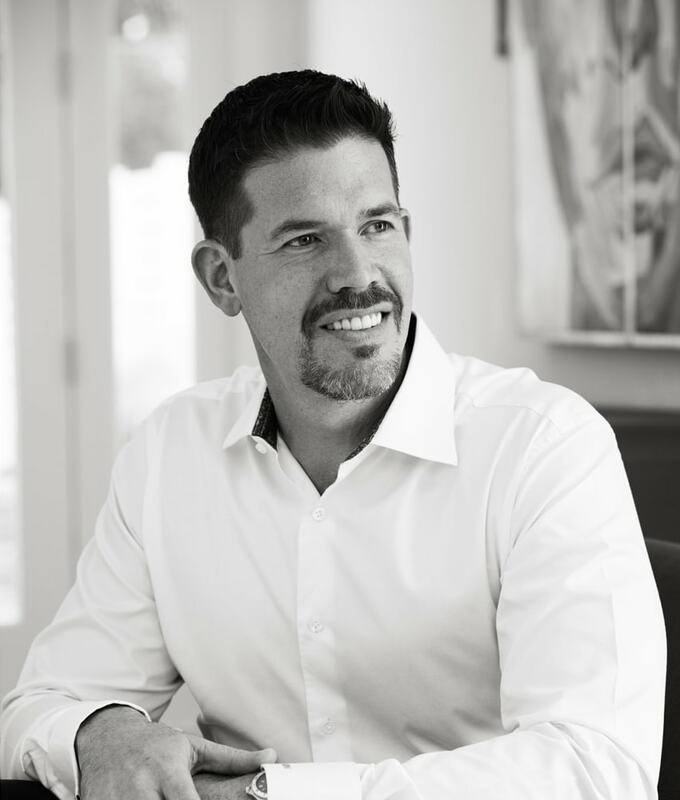 Join Dr. John Nosti as he discusses how to cultivate more functionally driven cosmetic dentistry out of your existing patient population. He will discuss case selection, smile design principles, how to order your Waxup RX, preparation designs, temporization technique, cementation, materials, and all the records necessary from your first visit to delivery day, in addition to patient communication and case finishing! Attendees will leave the course with many pearls for immediate implementation. Bring the entire team along to get the whole staff on board!